Easy-to-grasp extra-thick pieces in a vibrant rainbow of colors make this a perfect beginning puzzle for toddlers and preschoolers age two and up! Colors and color names underneath the eight pieces help make this puzzle quick to solve and help reinforce color and word recognition. Fish come in blue, red, orange, brown, yellow, pink, and green, and the colors are bright and vibrant. 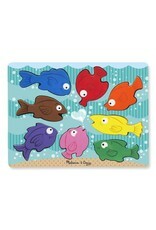 The eight friendly fish in different chunky shapes also stand up for pretend play. Chunky puzzle play helps promote motor skills, matching, and critical thinking. 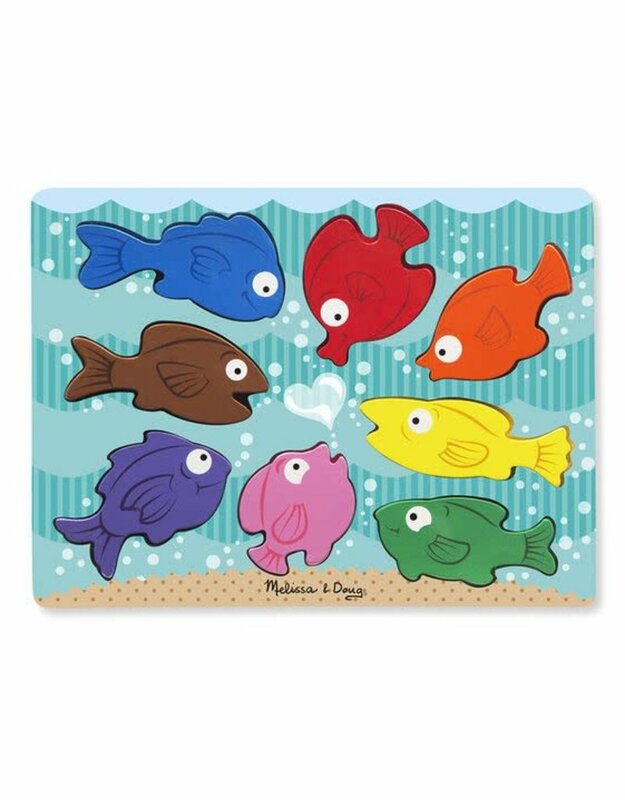 The adorable little fish may even inspire kids to engage in imaginative play, using their little friends as characters in their stories!